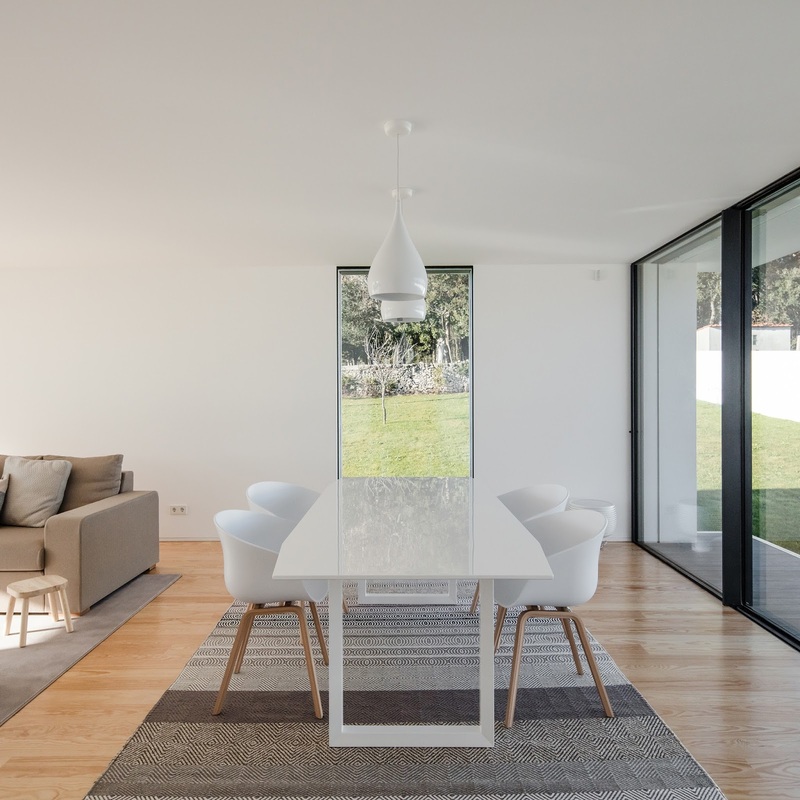 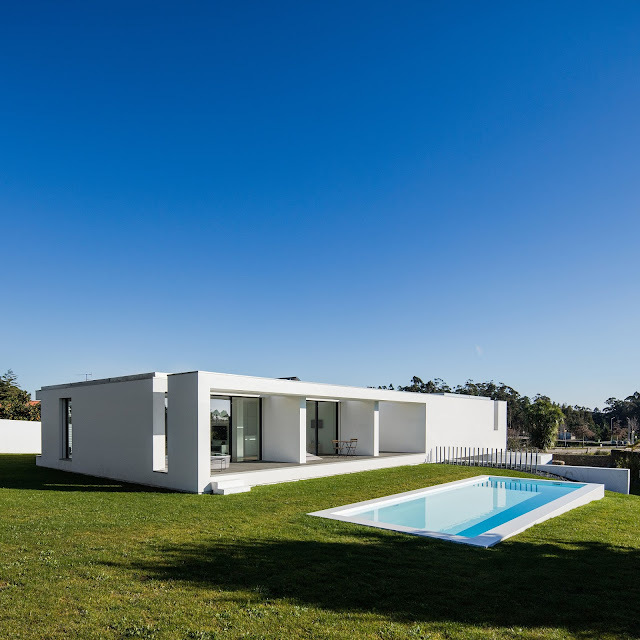 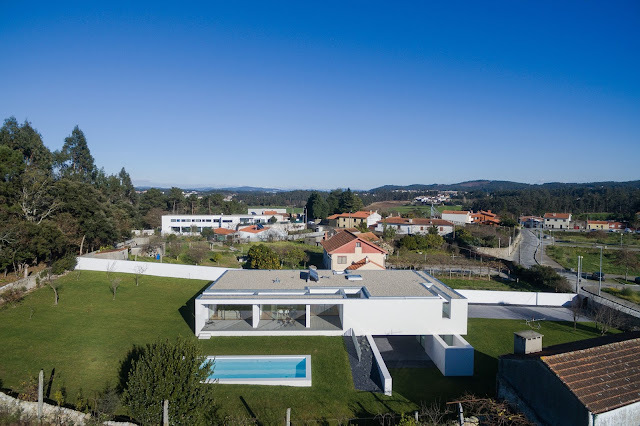 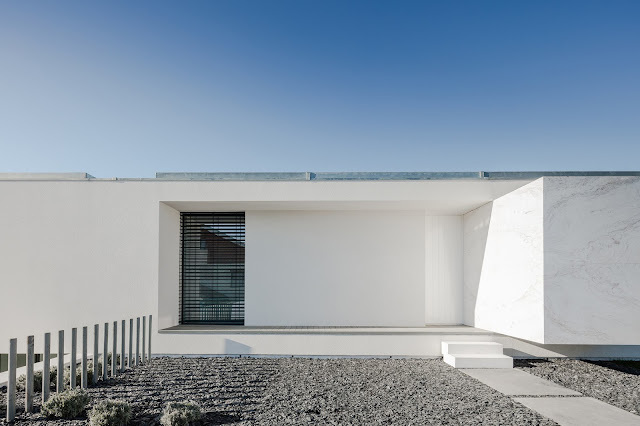 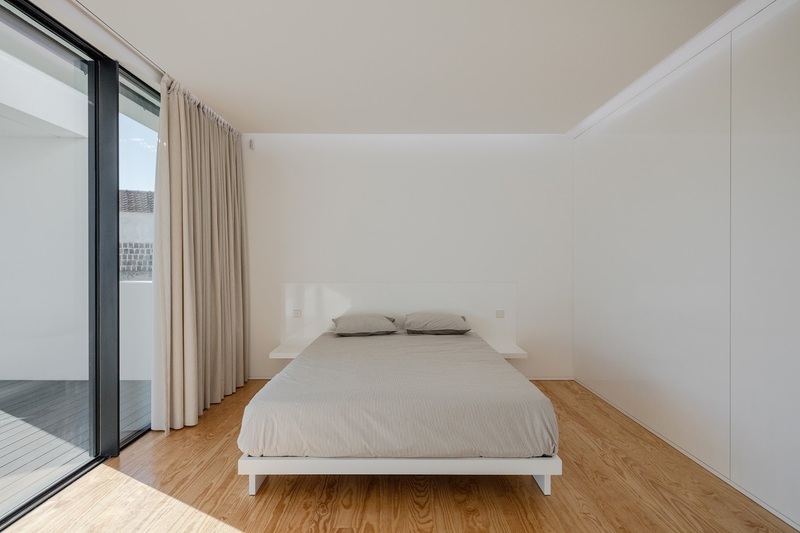 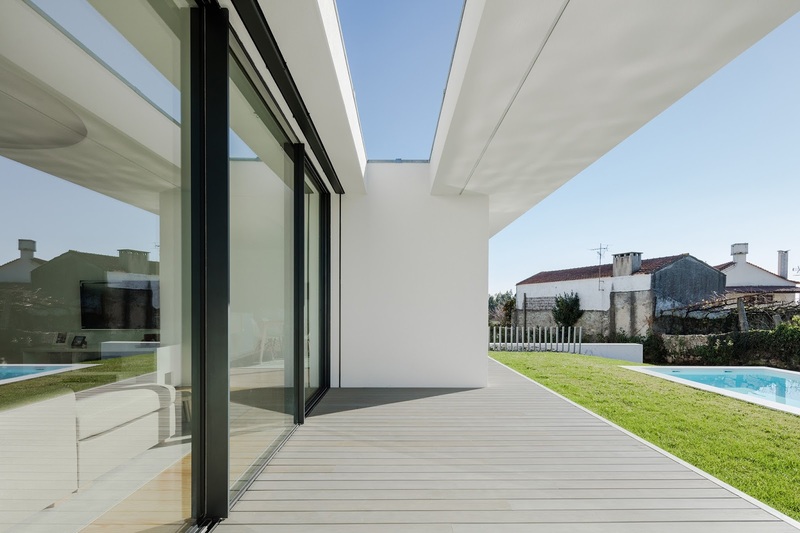 Portuguese architect Raulino Silva designed a minimalist house in Touguinhó, Vila do Conde, Portugal. 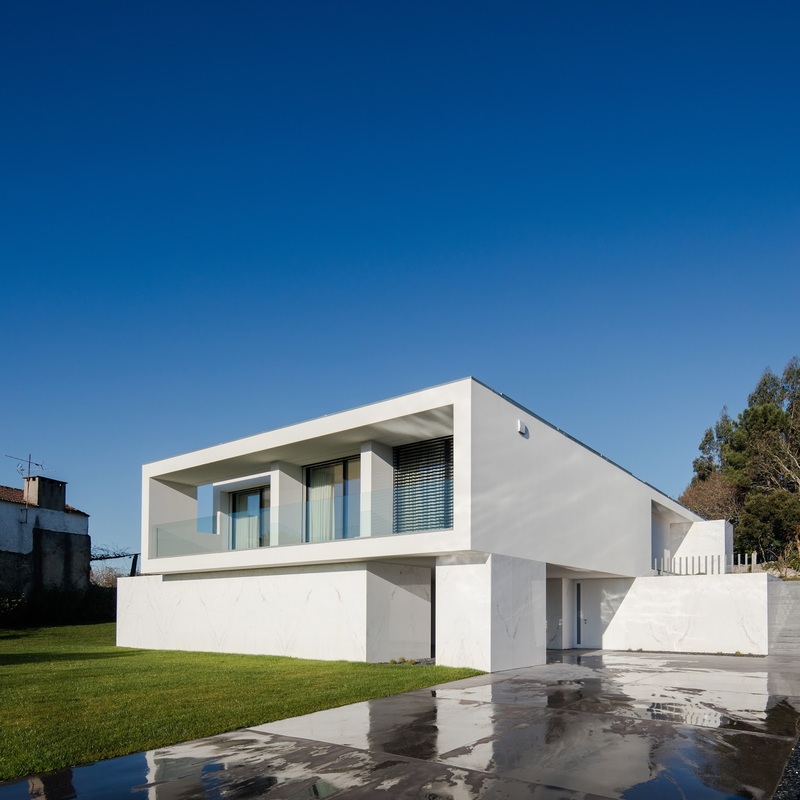 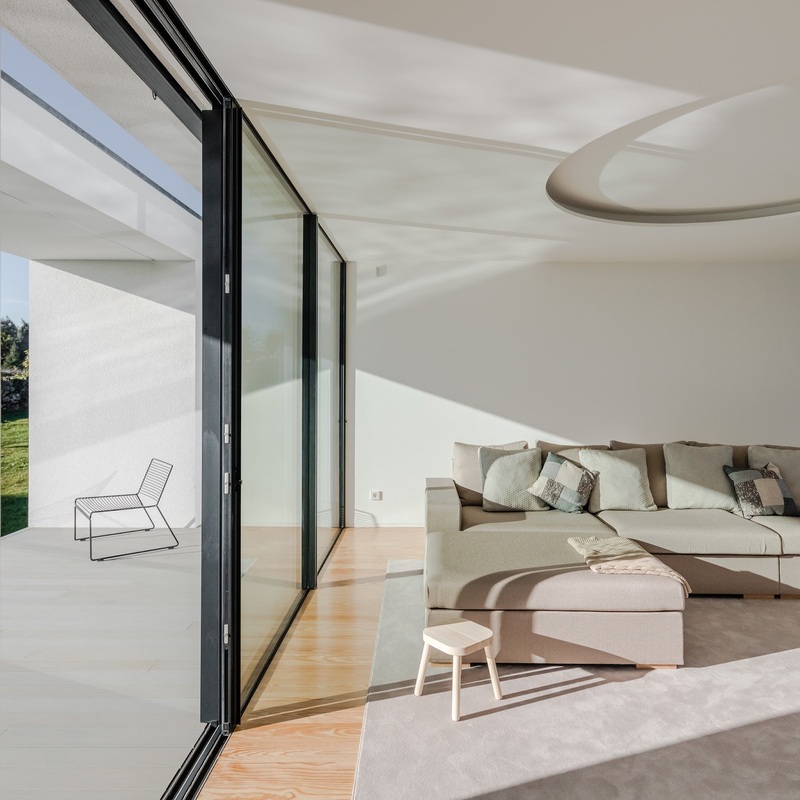 The two storey white villa sits on a slopy site and features large openings connecting both levels with the surrounding garden and pool. 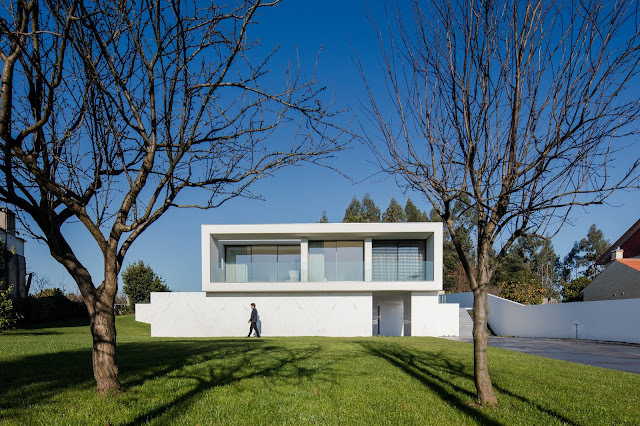 On the site, that was being used as a planting field, we found the typical granite walls, a stone pit, some fruit trees and bushes. 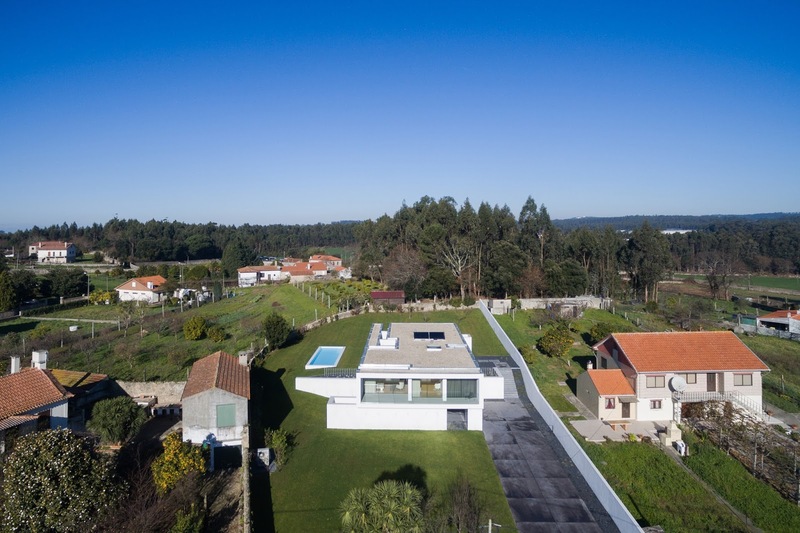 Those walls were recovered and the trees, the bushes and the stone pit were kept in their original place, in order to preserve the identity of the site. 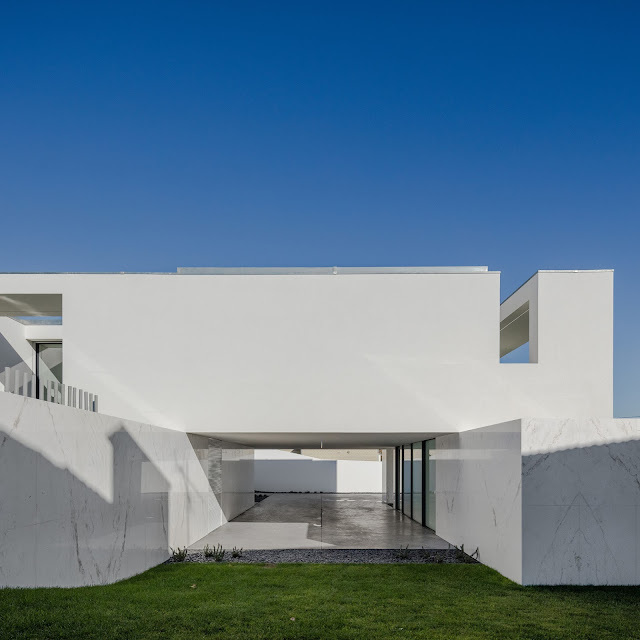 The strong slope of the topography of about 5 meters between the street and the top of the site defined the planning of the house in two floors, nevertheless it was sought that both floors had direct connection with the outside garden. 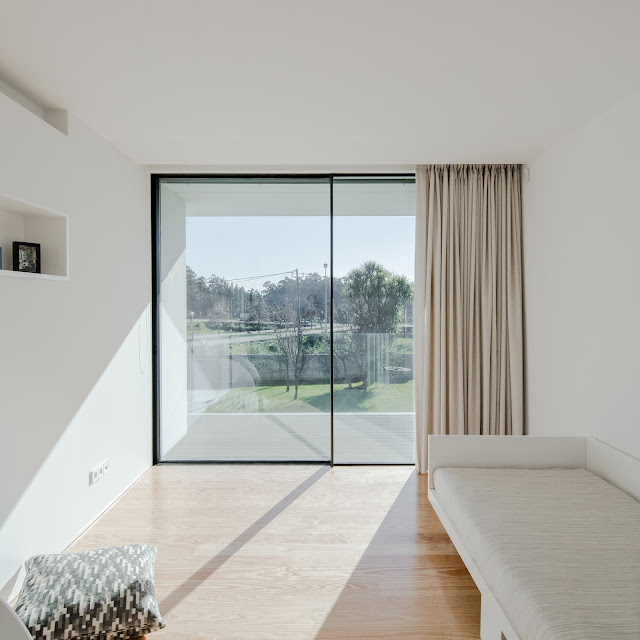 In the lower floor, which occupies half of the implantation, we have a porch that allows car parking but can also be used for other activities, like children’s parties. 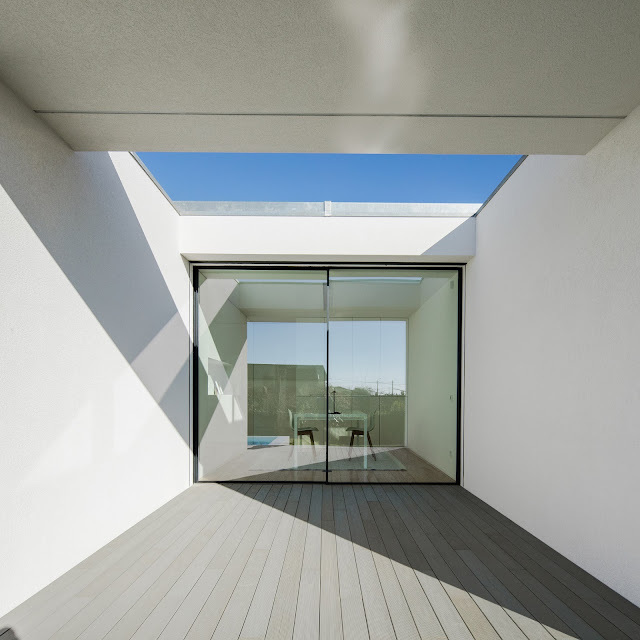 From this space, we have access to the laundry, to a toilet, a storage room, the technical area and to the atrium that allows access the upper floor through the stairs. 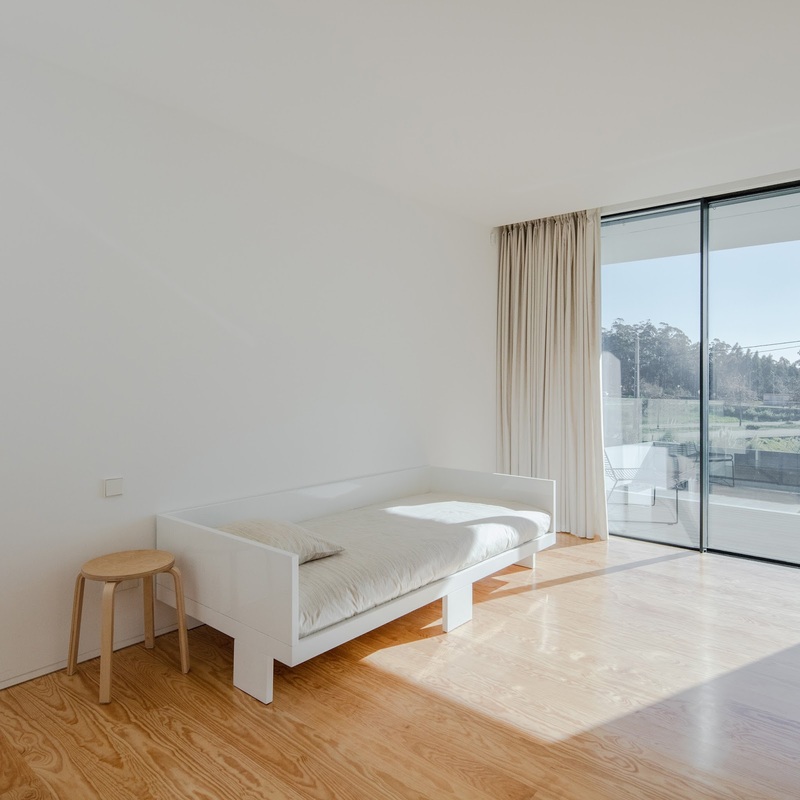 On the upper floor, we have 3 bedrooms faced south, one with dressing room and private bathroom, the other two have a shared bathroom. 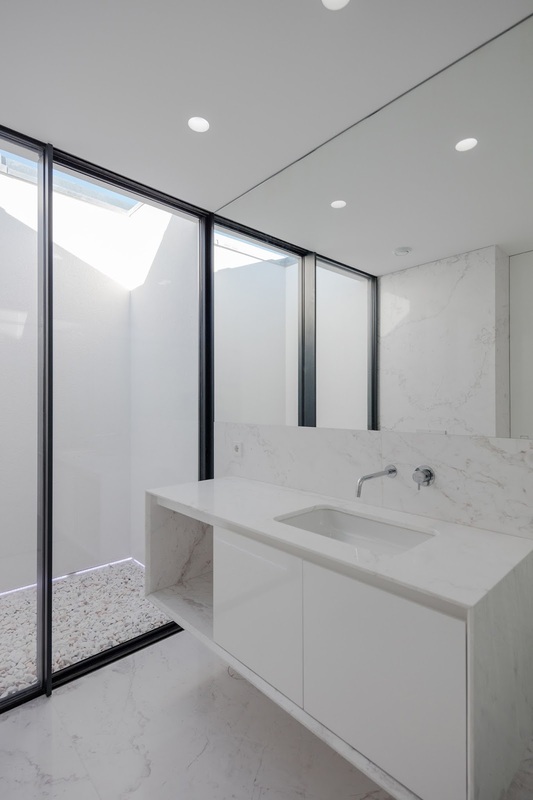 Both bathrooms have a private winter garden that allows its natural illumination and ventilation. 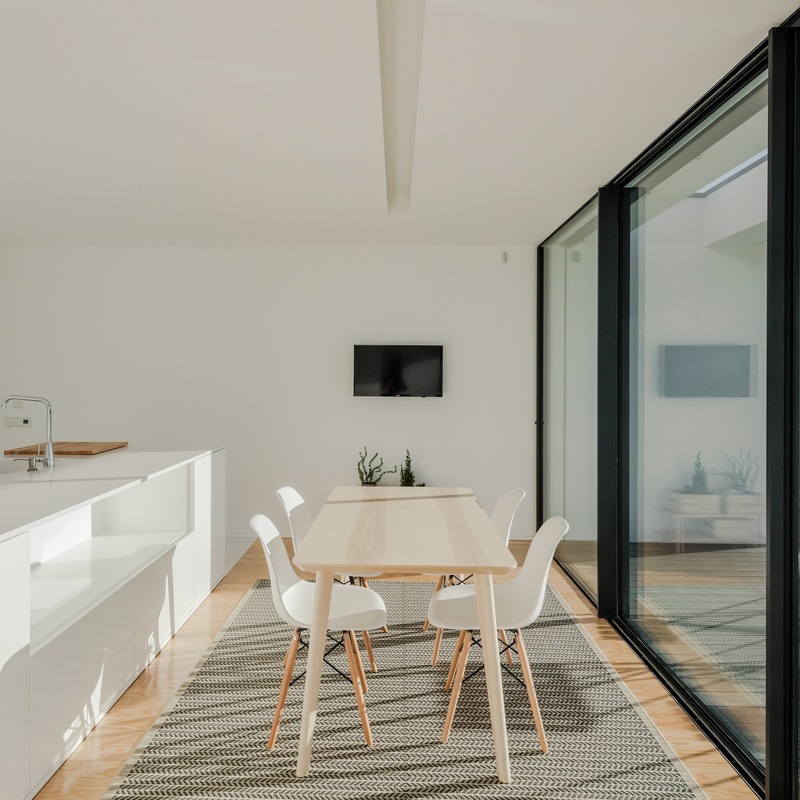 In the posterior zone, oriented west, we have the office, the kitchen and the living room, which extend to the outside through the deck zone, connecting to the swimming pool area. 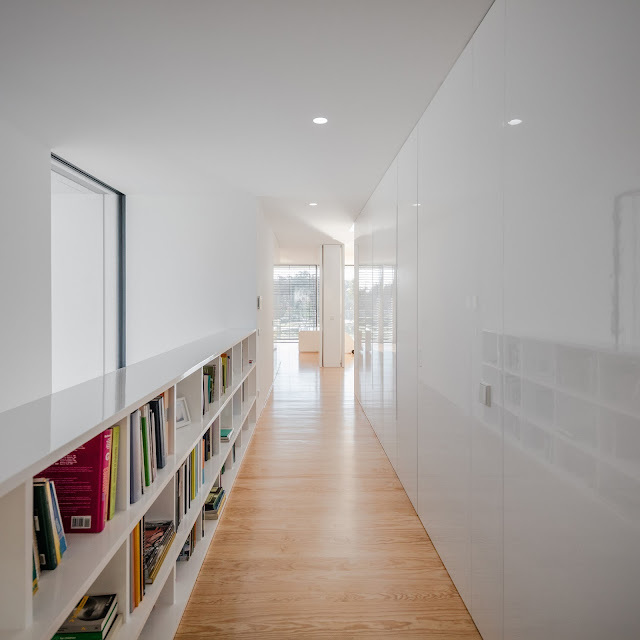 In the East zone, we have the stairs and corridor with a book shelf as well as the toilet with and attached patio next to the living room. 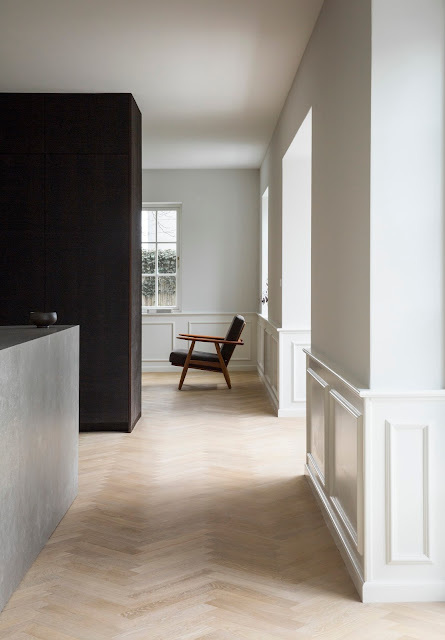 About the house finishing’s, on the lower floor the walls and the flooring of the toilet and the laundry are covered with polished white marble panels. 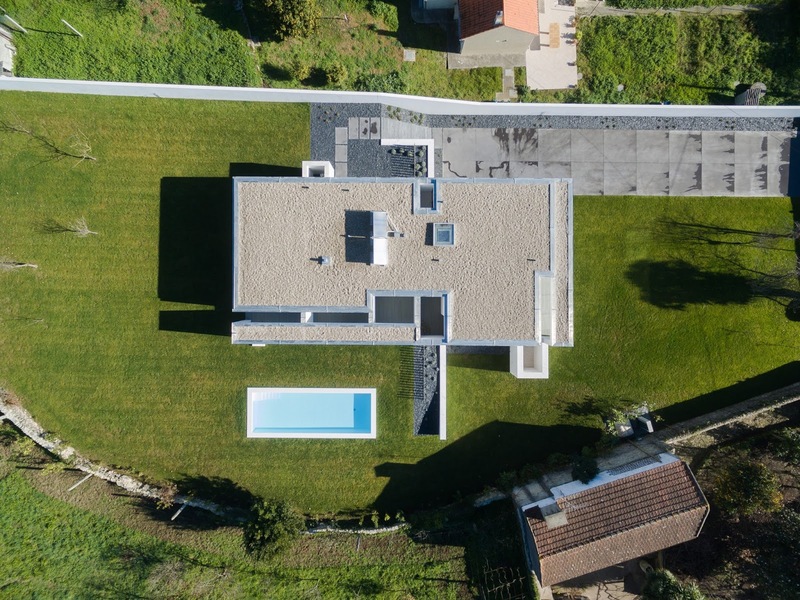 The outdoor black concrete flooring defines the house entrance and the shale gravel outlines the crawling vegetation areas. On the upper floor, the outside walls and ceilings are covered in ETICS system; through the interior, the solid pine flooring runs through the whole house and shines in the lacquered wood. 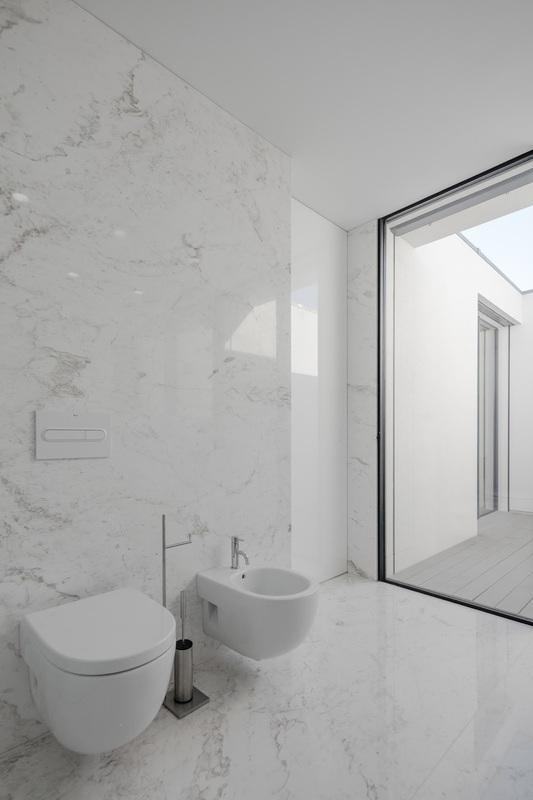 In the bathrooms, the walls and floors are covered with polished white marble panels. 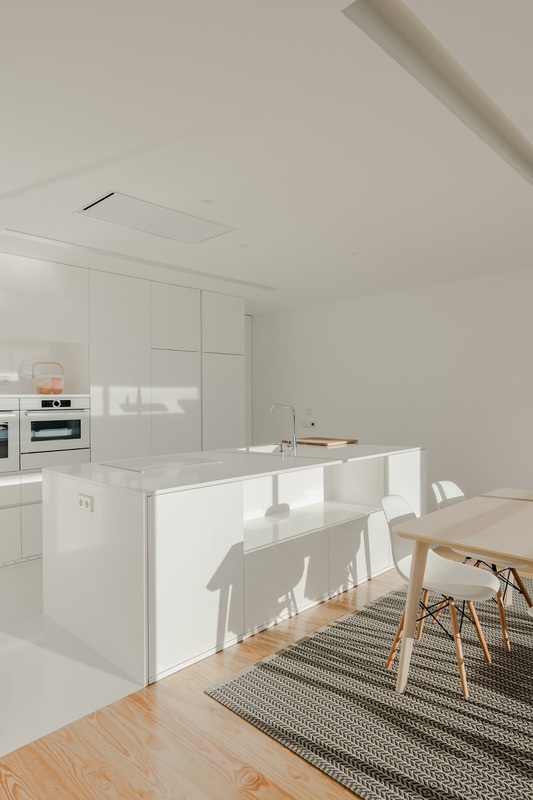 In the kitchen, the countertop and part of the floor are in white silestone “Zeus” slabs from Consentino, and the dishwasher is made with the same material. In the pool, the interior is covered with a white screen and the edges of the walls are covered with dekton plates also in white.